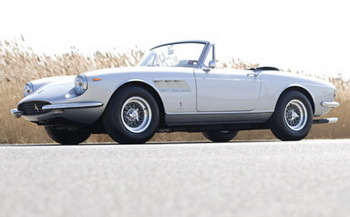 Four significant Pininfarina-styled Ferraris will go under the hammer in Amerlia Island on Friday. From top to bottom: 1965 500 Superfast Coupe, 1985 288 GTO, 1968 330 GTS, and 1973 365 GTB/4 Daytona Berlinetta. Four significant Pininfarina-styled Ferrari sports cars with their design and production spread over three decades will be offered for sale on Friday by Gooding & Co during its Amelia Island Auction. Strengthening the European character of the company’s debut Amelia Island Auction, the automobili belissime being offered includes the four distinctive Ferraris – a 1965 500 Superfast Coupe, a 1968 330 GTS, a 1973 365 GTB/4 Daytona Berlinetta, and a 1985 288 GTO. These four Pininfarina designs join a number of other rare collector cars being offered by Gooding & Company on the grounds of the Amelia Island Plantation at 5 p.m. on March 12, including the previously-announced 1938 Peugeot Darl’Mat Roadster and 1939 Alfa Romeo 6C 2500 SS. “Pininfarina has created some of the most beautiful automotive forms in history and the examples we’re presenting in Amelia Island are among the benchmarks of these designs,” says David Gooding, president and founder of Gooding & Company. When Italy was at the height of its economic boom, Ferrari sought to produce the fastest, most powerful and most exclusive model of all time – the result was the magnificent 500 Superfast created in 1964. 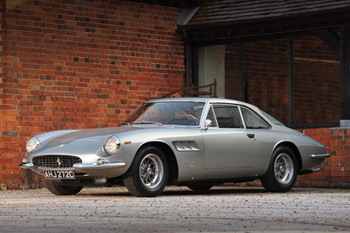 Gooding & Company’s 1965 Ferrari 500 Superfast Coupe by Pininfarina is one of only 36 examples created, boasting a mere four owners from new, including Prince Sadruddin Aga Khan and Pierre Bardinon, owner of the famed Mas du Clos racetrack. With an impressive degree of originality, low mileage and an unmatched pedigree, on Friday this Italian masterpiece is expected to sell between $800,000 – $1 Million. Widely considered as one of the most well-rounded sports cars Ferrari ever produced, the 1968 Ferrari 330 GTS offered a revised styling that incorporated the front-end treatment of the 500 Superfast with an improved drivetrain. The exquisite silver 330 GTS being offered by Gooding & Company in Amelia Island is number 35 of only 100 constructed and is expected to sell between $650,000 – $800,000. 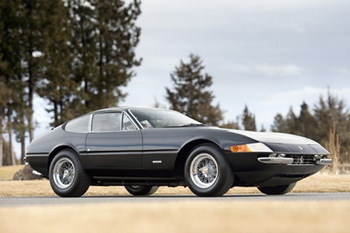 The 1973 Ferrari 365 GTB/4 Daytona Berlinetta being offered is a desirable European-specification example finished in black. In 2006, this car placed first in the vintage class of the Ferrari North American Challenge Rally and won an award at Concorso Italiano. Gooding & Company estimates that this car will sell between $250,000 – $325,000. Ferrari’s innovative 288 GTO is widely recognized as the manufacturer’s first modern supercar. The Rosso Corsa 1985 Ferrari 288 GTO being offered is one of 272 models ever built and has been previously certified for use in California, a very desirable characteristic due to restrictions in some states. 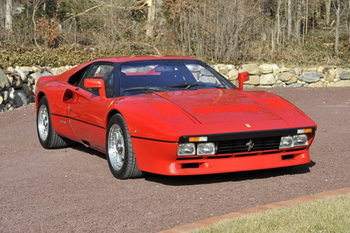 With low mileage and a well-documented history, this 288 GTO is expected to sell between $550,000 – $650,000. Gooding & Company provides unparalleled service for those in the collector car market, offering a wide range of services, including private and estate sales, appraisals and collection management. Known for its annual standing as the official auction house for the Pebble Beach Concours d’Elegance, Gooding & Company will hold its annual Pebble Beach auction in Pebble Beach, California, on August 14 & 15, 2010.